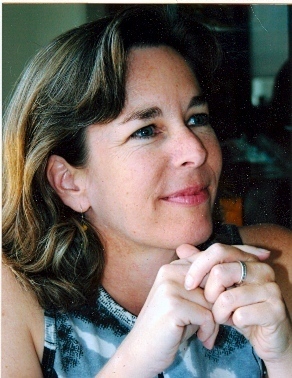 Susan Champlin is a New York-based teacher of children with hearing loss. She is also writer and editor whose work has encompassed books and national magazines, editorial and marketing, nonfiction and fiction. Susan served as project manager on four cookbooks for Bon Appétit and as consulting editor on Downtown Italian by Joe Campanale and chefs Gabriel Thompson and Katherine Thompson (Andrews McMeel, 2014) and Made in America: A Modern Collection of Classic Recipes by chefs Colby and Megan Garrelts (Andrews McMeel, 2015). She also edited the English translation of La Huella: Stories and Recipes from a Beach Kitchen (V&R Editoras, Buenos Aires, 2013). As a marketing and business writer, Susan has created original brand-centric magazine content for Meredith and for international design/branding firm LPK, and marketing materials for Discovery Communications, PBS, cable networks GSN, G4, and SíTV, and for the beloved Peanuts brand. She also writes for the children's brand The Moodsters, which which helps preschoolers learn emotional intelligence skills. Susan is the co-author with Stan Mack of the historical graphic novels for young people Road to Revolution! and Fight for Freedom (Bloomsbury, 2009 and 2012), and has spoken to students and schools across the country. Born and raised in Los Angeles, Susan received a B.A. in English from Stanford University before starting a career as a writer and editor for national magazines. She served as a correspondent in People magazine’s Los Angeles bureau, and as managing editor of Modern Maturity and Bon Appétit. Most recently, she earned an M.S.Ed. degree from Hunter College in New York City, specializing in teaching students with hearing loss. She currently works as a teacher in the Bronx, New York. She writes the blog “What Would Katharine Hepburn Do?” (http://wwkhd.blogspot.com) and can be found on Twitter and Instagram as @susanchamplin. "…readers will be rooting for Sam and Annabelle to beat the odds." "… combines historical fact and fictional characters into an exciting and action-packed narrative."